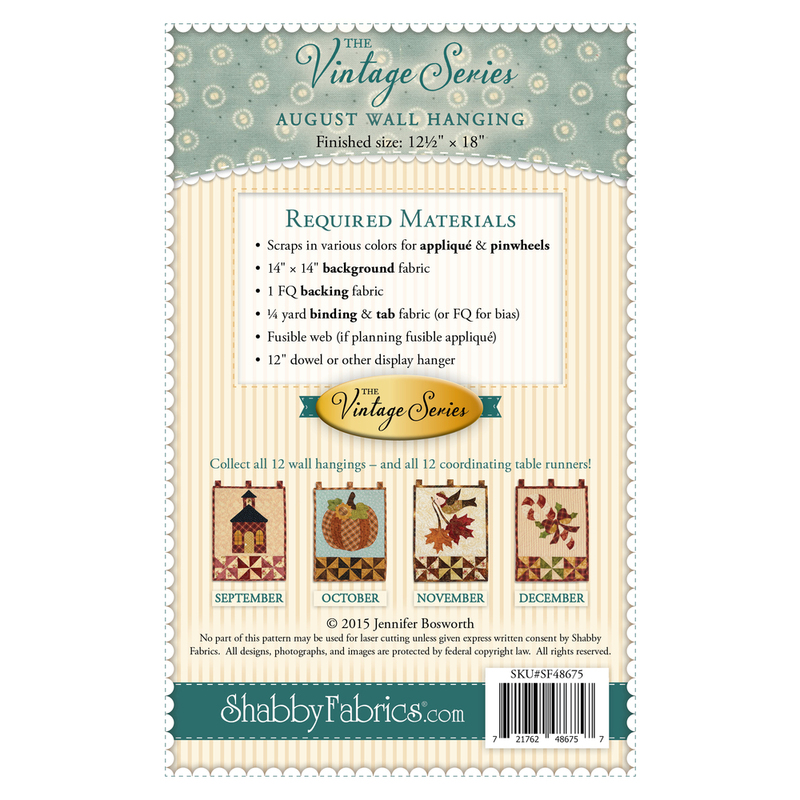 Decorate your home all year long with this beautiful wall hanging from The Vintage Series by Jennifer Bosworth of Shabby Fabrics. 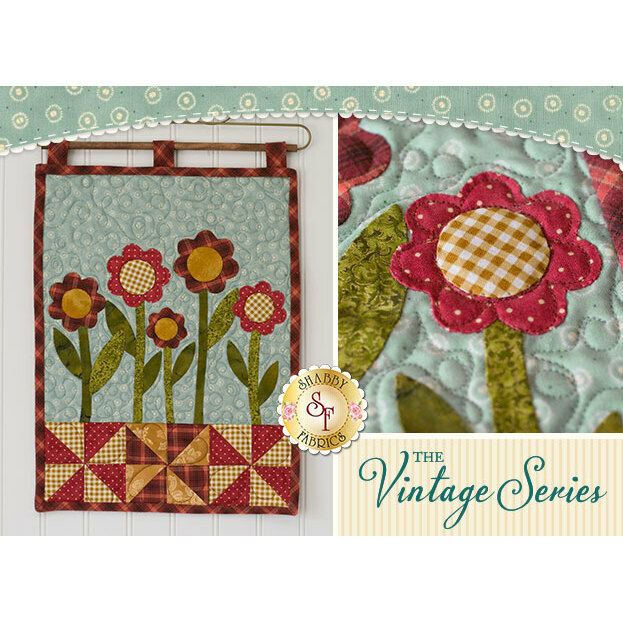 This pattern is for the August design. 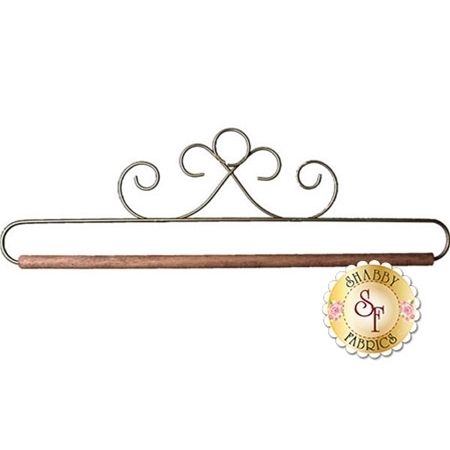 Wall hanging measures 12" x 18" and hangs from a darling dowel hanger (not included - available separately below).